A small fish in the UK melodic rock scene, Change Of Heart have gained a place in people’s hearts due to the strong talents of vocalist/founder/songwriter Alan Clark, a man who knows how to pen the sort of tracks that hit the spot for anyone into melodic rock. He’s not the most prolific, though, and it’s been a long eleven years since the last Change Of Heart album. Hopefully there’s still plenty of people around who give a damn, because “Last Tiger” is a cracking offering. The style here reminds me of the liked of Heartland, Lion or even Strangeways, with it’s smooth, melodic base and understated vocals that are not a million miles away fro Chris Ousey in style, if not as good (not a criticism as Ousey is superb). This isn’t big, chorus led AOR a la Journey, but something a bit more crunchy, mixing up guitars and keyboards to great effect and crafting songs that aren’t just a pretty face. Worth noting is “March of The Souls”, a deliberately Dio-esque track that is at odds with the rest of the album but works well nonetheless. Opener “Rise To The Challenge” perfectly introduces the standard style for the album, with smooth vocals and some seriously cool widdly guitar and it’s a great track to listen to on YouTube. Basically, if you like it then this should be the album for you. 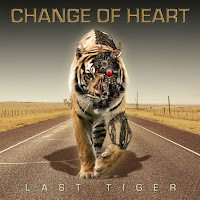 “Last Tiger” is a fine addition to the Change Of Heart catalogue, even if it doesn’t have the same contributors as previous work. Eleven strong songs, well produced and expertly performed, make this an album to keep most AOR fans happy. There’s a part of me that thinks The Dead Dasies should change their name to “The Ex Men”, as they’re one of those bands where each member’s name has to be followed by an impressive list of former bands in brackets. In fairness, these boys have knocked around with some of the best, and on this, their third album, they flex their mighty rock muscles and proceed to knock it out of the park. Founder and guitarist David Lowry is the only member who hasn’t played a few rounds with the big boys, but in his song writing he certainly gets the best out of his band mates. Vocalist John Corabi has never sounded better than he does here, The Dead Dasies suiting his style much better that Ratt or Motley Crue ever did, and it’s always great to hear Doug Aldrich letting loose with his signature sound yet be kept within the song structure. The songs on the album are nothing that will garner gasps of admiration for their originality, as they’re basically heavy rock played really well. It’s the Really Well part of that sentence that makes all the difference though, as there’s not a single track that doesn’t somehow get under your skin and make the inner rock dude want to raise his fist and yell. The title track, for example, is a heavy stomper very much in the vein of Saxon’s “Denim & Leather” and Queen‘s “We Will Rock You” that is very easy to take the piss out of. Thing is, it’s glorious, head banging fun and so what the heck! One of the best tracks has to be “Mainline”, which is a fast, streamlined track that screams quality, as is the first class heavied-up cover of Creedence Clearwater Revival’s “Fortunate Son”. 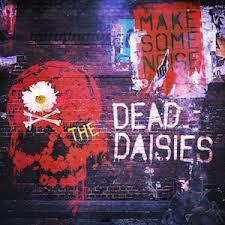 Whilst The Dead Dasies are an unapologetic classic rock band with all the clichés that come with that, this sort of band stands or falls on the quality of their output, as there’s a million other bands trying the same sort of thing. “Make Some Noise” can be too cheesy at times (“All The Same” being a good example) but it’s never less than entertaining. Heavy and expertly put together, it’s an album that can be played over and over without getting stale, just like all the best classic rock records. Cranston sees the intriguing pairing of rock legend Paul Sabu with perennial workhorse Phil Vincent. Apart from when he was with Legion, Vincent tends to work alone, so I was interested to see what would happen to his sound when co writing with Sabu. The thing is, Sabu’s other recent release, (a pairing with Vince O’Reagan), was pretty poor, so fingers were crossed, especially as Vincent’s solo work has been getting better and better. The good news here is that Paul Sabu is not the main vocalist here. This may seem like an odd thing to say, but the O’Reagan album showed that his voice is really not what it was. Phil Vincent, however, has always had a decent voice and leads the way with Sabu providing backing as well as all the instruments except drums. So we come to the music itself, which is the whole point. Although written by the two guys this does come across very much as a Phil Vincent album, no doubt helped by his vocals. The thing is, it doesn’t come across as one of his best, and feels like a step back to the days when he was good rather that very good. The songs are melodic yet guitar heavy, and whilst they’re never bad there’s something missing that would turn this from a good album to a great one. It falls down a little at the end, with the last three tracks seeming to last twice as much as they do. Seriously, as ‘Sea Of Madness’ fell into a repetitive end sequence I had to check it wasn’t a seven minute epic. It isn’t. It’s a bit of a shame, as up to then there’s some pretty decent tracks, notably opener ‘Long Long Way To Go’, ‘See You One The Other Side’ and ‘Fallen’. 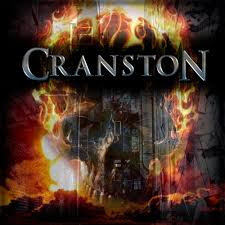 ‘Cranston’ contains enough cool rock tracks to satisfy a fan of Phil Vincent, but they may be disappointed that there’s not a few more. I would have liked to hear some of the more punch tracks (such as ‘Let It Go’) sung by an in for Paul Sabu, so here’s hoping that the Vince O’reagan album was a one off. Maybe for Cranston II they can switch roles. FISH friends feeling frisky? TILT is a brand new (Prog) band and project featuring Robin Boult (guitars), David Stewart (drums) and Steve Vantsis (bass), all probably better known for recording, writing and touring with prog legend Fish (Marillion) over the years. Steve Vantsis was in fact responsible for most of the writing of the last two well received Fish albums, 13th Star and Feast of Consequences. The three are joined by excellent singer PJ Dourley and guitarist/keyboardist Paul Humphreys. 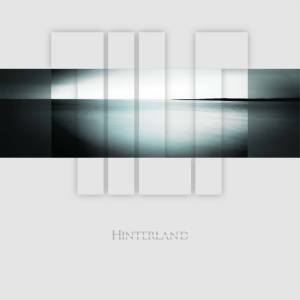 Strictly not just Prog-Rock though as "Hinterland" is the leap into the unknown. Their debut album is to a certain extent the mixture of Prog with a more grungy and modern texture. Needless to say. I'm especially fond of the sophisticated, atmospheric, Prog-Rock approach of a track such as the opening number, Assembly. The chanting and trading of lyrical content is very memorizing and nearly hypnotical. Great stuff that quickly becomes your soundtrack of the summer and lazy afternoons in the sun. The title track is up next and it's frankly just another great song which include bits and pieces of everything from Prog and the Pearl Jam...ehh, Jam, to the Neil Young and REM beat and structure. "Against The Rain", slow things down a bit and Dourley gets to shine in the spotlight. Vocally, the superb performance while lyrically it's the language of delusions and suspended truth. "No Superman", clearly not "prog" according to this particular listener as it's Seattle and no rather than Yes (pun intended). The five are joined on this release by keyboard player John Beck (It Bites) and guitarist John Mitchell (Lonely Robot/Kino/Arena/It Bites) with Mitchell also responsible for the final mix. Final verdict: Very solid and accomplished record with a couple of not-so-great moments in between the goodies. Preacher are an eight (8!) piece Progressive Rock band from Scotland who have been making a name for themselves thanks to their regular touring schedule and festival appearances. Just as ordinary as deep fried mars-bars, black pudding, and haggis to the common people of Scotland? Well... 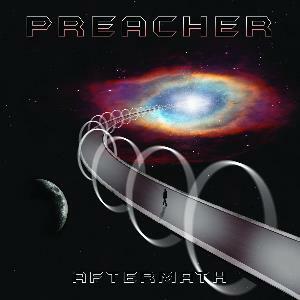 Aftermath, the follow-up to their 2014 debut 'Signals' take its inspiration from the likes of Pink Floyd, David Bowie, Uriah Heep, Dire Straits, Moody Blues. etc. It's very much the seventies generation, its music and musicians... and to merely add more confusion to the subject, singer, main song writer, and guitarist Martin Murphy has a voice and singing style reminiscent of David Bowie and Mark Knopfler (Dire Straits). Not quite as great though, quite gritty, and it's like if you're listening to the slightly daft, reletive of the two legends. Not too shabby though. Not too shabby at all. The opening title track, taking its lead as the music dips into the sea on the dark side of the moon (pun intended) only to come back for air on the surface and "Welcome To The Fray". The latter track sounding like if the Dire Straits tribute act decided to record their own version and new arrangements to 'Welcome To The Machine'. A little too often the compositions are similar to well-known songs and while "Vinyl", for example, does allow their own trademark and sound to come through, it's still very much the Pink Floyd structure at play. Hardly everything on here is Floyd-ish though and the grittier tracks such as "War", might not please the ones waiting for another shot of Pink. The musical elements that make the Prog legends so unique and engaging are only present on every other track here, and it's a shame considering that The Preacher's are at their best as Floyd wannabees. Neat! 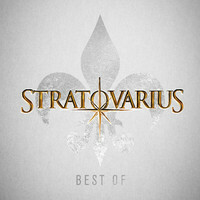 Stratovarius. Well they have been around since the dark ages, haven’t they? The band has gone through several line-up changes, weird publicity stunts but most importantly, they’ve released a lot of good albums and played thousands of gigs. This 3-CD box contains their most popular songs throughout the years. One of the CD’s is a live one, ”Live At Wacken 2015”. My personal relationship with Stratovarius hasn’t been a particularly stable. When I first heard their material back in the eighties, I thought they sounded like a poor man’s Helloween. I liked their late nineties’ albums such as ”Visions” and ”Infinite” a lot, but wasn’t too fond of the albums that followed. The self-titled 2005 album was definitely the band’s low point. When main songwriter Timo Tolkki broke up the band and eventually handed out the rights to the name to the rest of the guys, the band went through a re-birth of sorts. ”Polaris”, the first album from the ”new” Stratovarius was a bit of departure from the original sound, but with the later albums the band has fine-tuned their style towards the melodic and catchy sound they’re known for. The album contains one brand new song (and rather excellent) ”Until The End Of Days” and 26 more or less classic Strato-tracks. The latter-day tracks sit nicely along the older hits. The oldest songs such as ”Break The Ice” show why it took a few years for the band to breakthrough, they’re basically rather ”meat’n potatoes metal”. As for the rest, the band's Melodic Metal gems like "Eagleheart" "Black Diamond" or "Hunting High And Low" still sound very good. This is a thoroughly enjoyable compilation, and at least for me it has somewhat renewed my interest in the band. I think I’ll check out the band’s latest few albums again - they haven’t gotten the required attention from me. 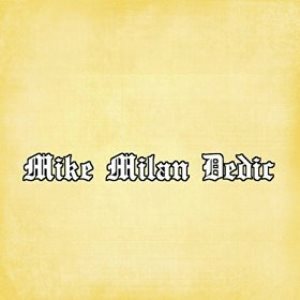 So, officially coming out of nowhere (Totonto, actually) is Mike Milan Dedic, a Canadian guitarist who has been plucking away since he was twelve yet only has a couple of releases to his name from twenty and thirty years ago. Let's be honest, though, a five track instrumental release is hard to muck up, unless you're The Great Kat or some other egomaniac. Dedic doesn't seem that way inclined, thankfully, bringing to the table five pleasant, well played pieces that feature calm, collected solo work and fine melody throughout.The solo work veers into shredding at times, but not overtly so, and it's a good thing that he doesn't just play as fast as he can throughout.It's a compliment that you could tell someone that final track 'Shall We Dance?' is an unreleased Joe Satriani track from the 'Surfing With The Alien' era and they might well believe you, as it's got that cool, understated rhythm livened up with a nifty middle solo. This is an EP that isn't likely to cross too many people's paths, but if you like instrumental guitar pieces it's a really nice little package to check out. You get the feeling Mike plays for the sheer enjoyment of it, the crisp, clear notes floating around the room like butterflies. Mike Milan Dedic isn't setting the world on fire with this, but he is at least making it a little warmer.